I love the whimsy penguins, I've made a couple of cards already featuring them and am hoping to use them for all my Christmas cards. I love your card, all the layers and details and the white parts of the outfit stand out. Beautiful. I hope your little girl enjoys day care! 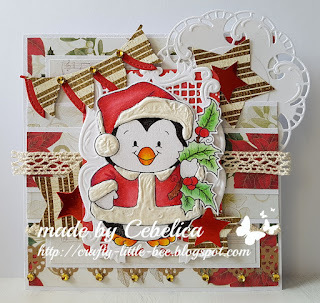 OMG this is a beautiful card, i love Christmas cards too. Thanks for joining in the challenge of Whimsy Stamps challenge blog. Fabby looking card. Very cheerful, love it. Thanks for joining us over at the winter wonderland. Ooooh this card is so wonderful! Gorgeous card Cebelica! It's so sweet and I love all the layers. Aww bless her, our babies grow up way too fast. 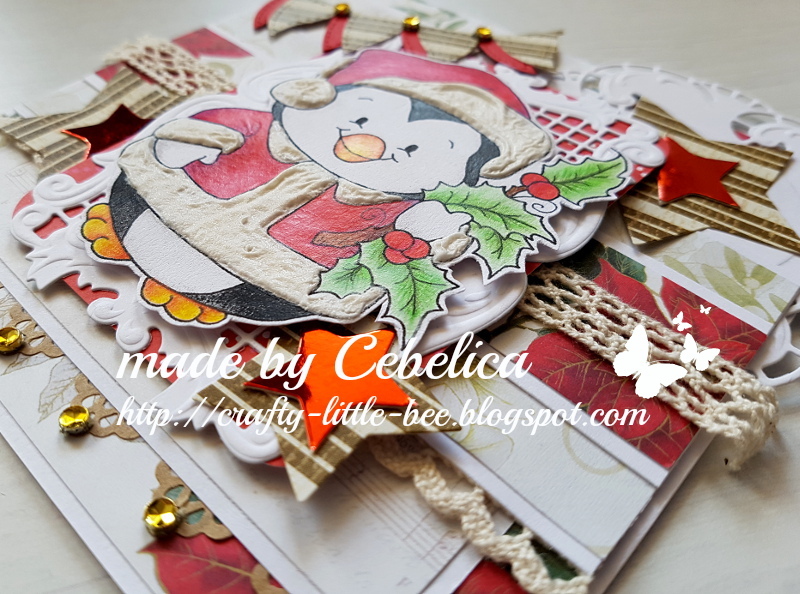 oooh such a lovely creation, Cebelica! Love all the fabby details! Such a sweet image and all the dies are fantastic. I am sure your little one will be happy in daycare and will make lots of friends. 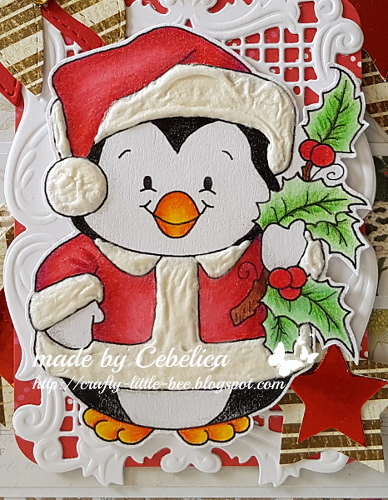 Just wanted to say I love your card,the details in the background look really good and the fur on his outfit really stands out,hope your little girl had a great first day,it's a long time since my little girl had her first day but I still remember,Lyn winter wonderland,DT. Wow this looks amazing! I love your textured trim! Great card!! 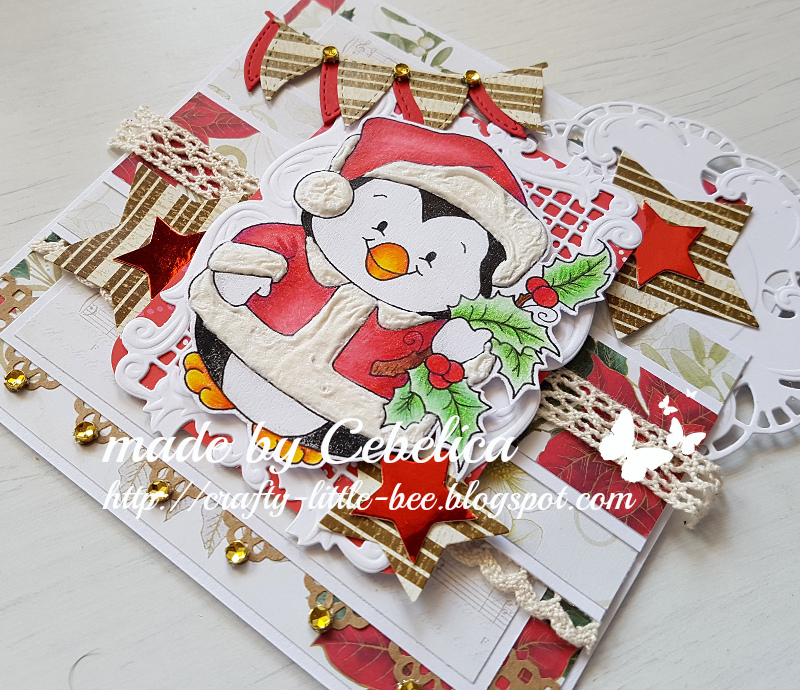 Sweet card!! Thanks so much for participating in our CHRISTMAS CARDS ALL YEAR ‘ROUND challenge. Hope you participate in our next challenge!! Have a happy crafty day!!! *If this comment is late I apologize! I’m having major issues lately trying to leave comments due to the stupid ROBOT silliness!!! This is just the cutest card. The texture just add that something special. You did a great job!